Today’s cyber news we are tracking: 3D printing facial implant, Receiving online orders in less than 15 minutes, AV world rankings, and more. Technology has reinvented itself again. A British restaurant manager was diagnose with a cancerous tumor growing on the left side of his face. He was referred to a surgeon to have this tumor removed from his face. 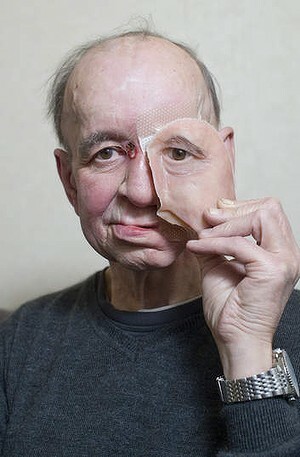 Years after the surgery, a dental surgeon was able to recreate a replica of his of face using 3D printing. “CT and facial scans” were used to create a facial blueprint. His jaw was reconstructed using titanium. A plastic plate was inserted to help him eat and drink. Read More about this fascinating story. Also see his Before and After pictures here. Oh My God (OMG), I’m tired of waiting on same day delivery for my online purchases. Whatever happened to the old saying ‘patience is a virtue’? I guess the UK based company name Shutl has never believed in patience (or virtues). Shutl announced this month in San Francisco they will provide delivery of online purchases within 14 min and 58 seconds. Local retailers and Shutl have partnered together to allow shipments within a 90 minute window. Click Shult to read more..
Where does your number one OS or AV rank in the world? AV-Comparatives polls novice users every year about their preference on a variety of computer related topics. This years’ responses compiled of almost 5,000 entries covering six continents. Windows 7 was the OS of choice for home users, while the Android OS was the choice for mobile devices. Geographic locations was the deciding factor for security software. Microsoft Security Essentials was the number one choice in North America. Symantec, second to Microsoft Security Essentials in North America, was only ranked number five in Europe. Click AV to read more.